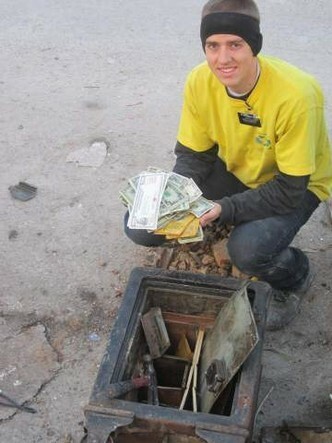 A group of missionaries for The Church of Jesus Christ of Latter-day Saints helping with post-Sandy storm cleanup on Staten Island were surprised to open a safe meant for the dump and find more than $25,000 in cash. The group had been serving in the Staten Island area when the storm hit and had been helping with cleanup instead of proselyting in the weeks since. When they entered one older gentleman's home, they found it filled with years of possessions — so many that they could tell he wasn't aware of what was in every room.